Anyway, once we met up with Yaniv, it was off to see the sites. We started by heading to the Temple Mount. 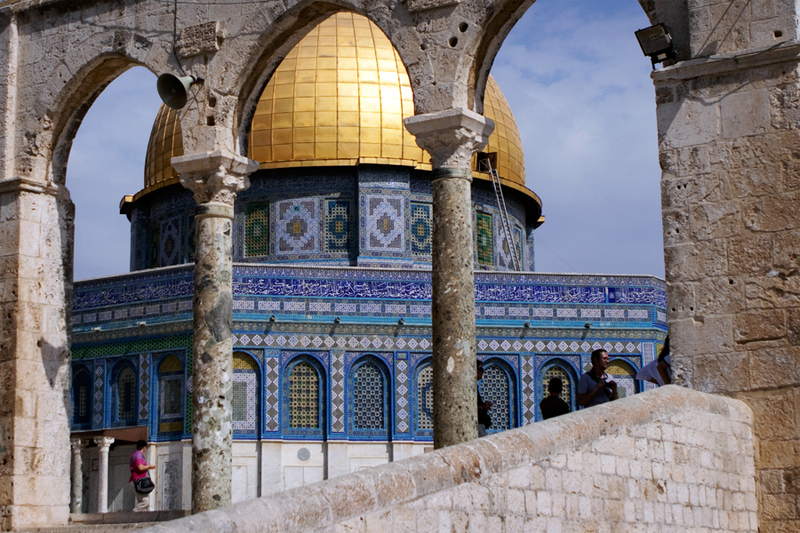 Today the Temple Mount is home to the Dome of the Rock, which outside Mecca is the holiest place in the Islamic religion. It is the site on which the Prophet Mohamed is said to have ascended to heaven, heard the word of Allah, and returned to his earthly existence to spread the word of true Islam. According to history, this is also the location of both the first Jewish Temple built by Solomon and the Second Temple of Herod the Great, and is also the holiest place in the Jewish religion (I’ll address this a bit more when I talk about the Kotel later). Over the centuries and millennia the Temple of Solomon was destroyed and replaced by the mosque that has become the Dome of the Rock. 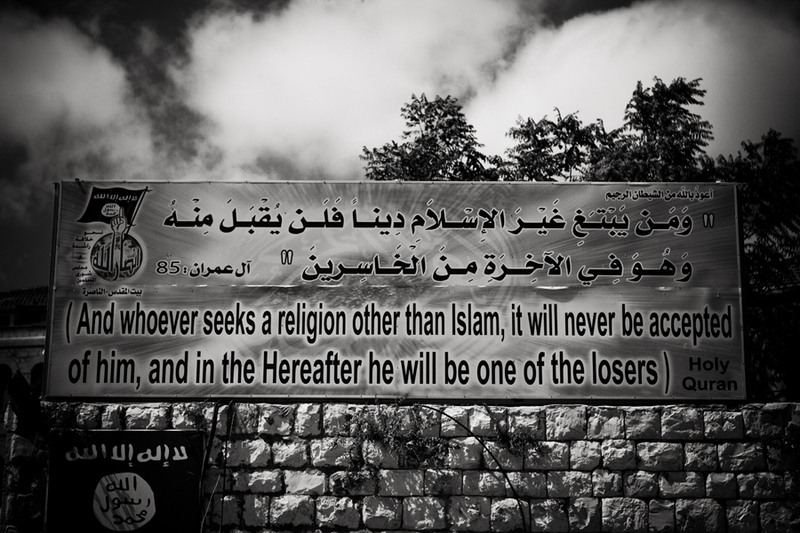 Because of this, the Temple Mount is currently under Muslim control. Jews are not permitted inside any of the Islamic buildings. 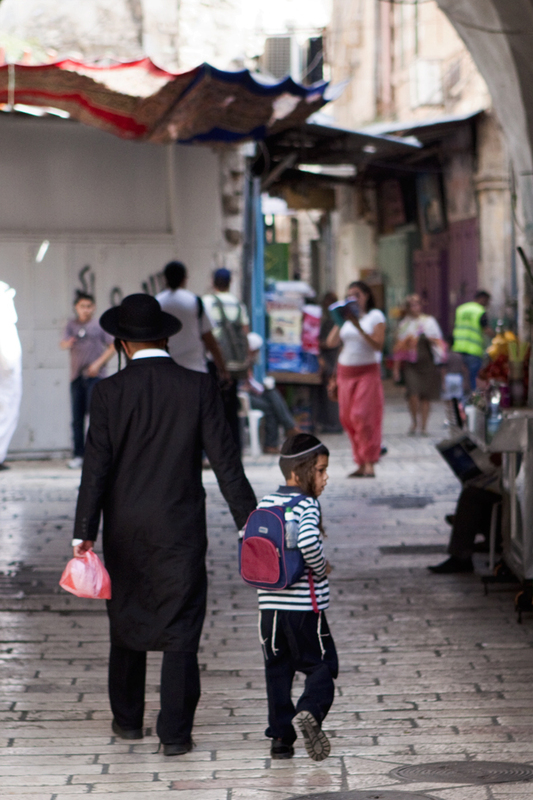 Neither Jewish nor Christian religious paraphernalia are permitted on the Temple Mount. Audible discussion about the location of the Jewish Temple is not permitted. 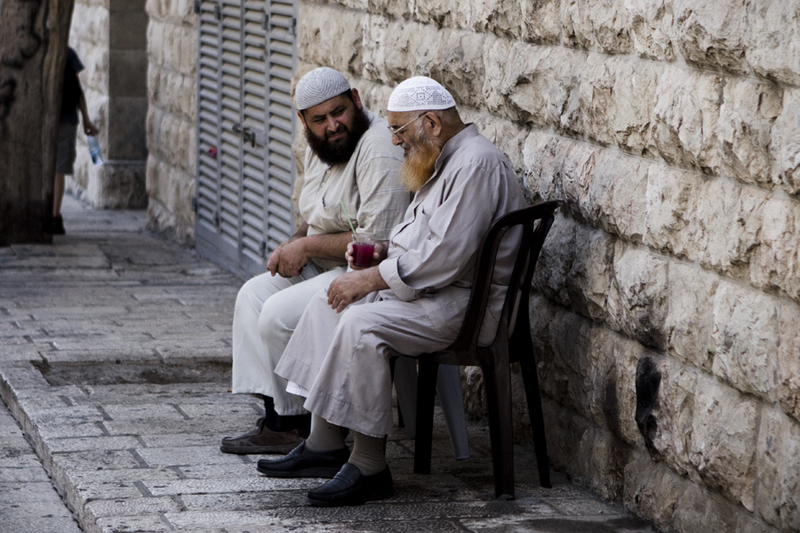 In fact, there are Muslim men who will wander around the temple mount and sit listening to your conversation and will have you removed if they don’t approve of your conversation. Even though the Temple Mount is under Muslim control, it remains part of Jerusalem and is legally under the authority of the Israeli police. While we were there, several orthodox Jewish guys were escorted off the Temple Mount by a combination of the Muslim guards and Israeli Police. There is a fragile balance there, and any disruption of that balance will result in an outbreak of violence. That is why the Israeli police comply with the wished of the Islamic leadership as it relates to the Temple Mount. I wanted to explore more. Frankly, I wanted to go inside…for two reasons…first because I am truly interested in what lies inside. 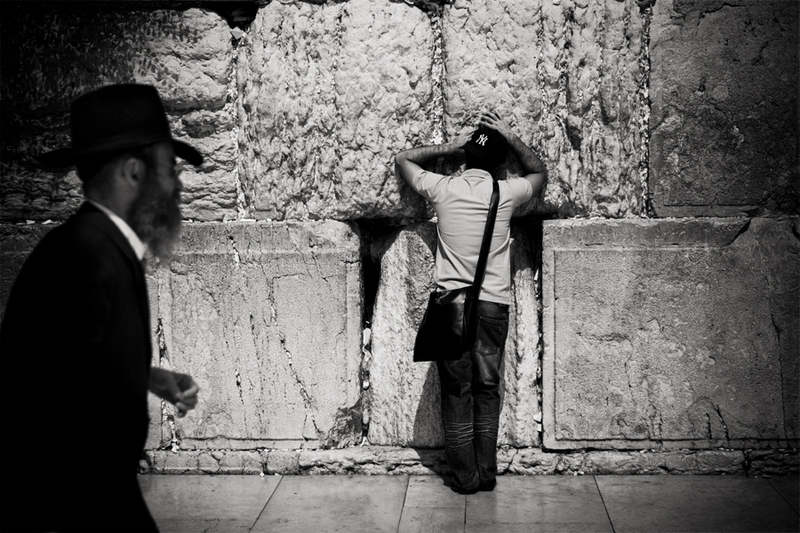 I am truly interested in the culture of those who worship within the building, and I am truly interested in the fact that at some point, centuries ago, it was the location of the Jewish Temple. Second, I wanted to go inside simply because they say I can’t. 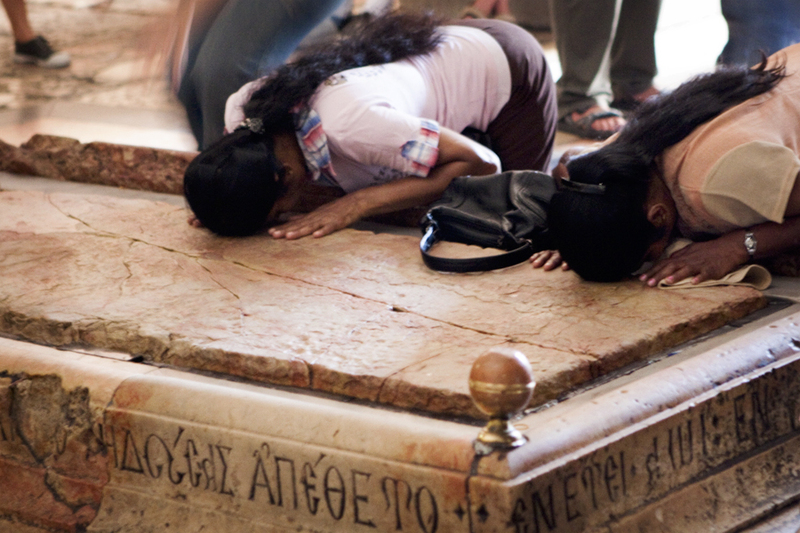 That said, we could not stay all day, and being an equal opportunity vacation we left the Temple Mount and headed to one of, if not perhaps the most holy places in Christianity, The Church of the Holy Sepulcher. 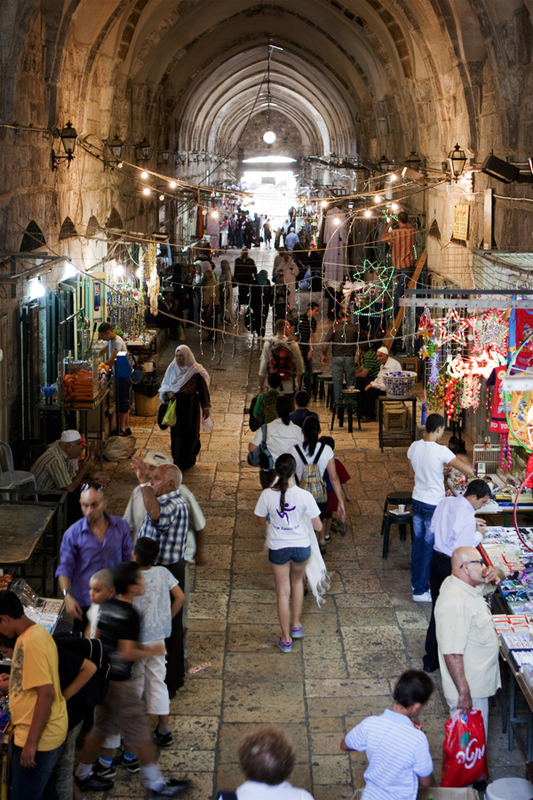 In order to get there we walked through the Muslim shuk, or marketplace. This one was much cleaner and a lot less scary than the one in Akko. Admittedly, I know very little about Christianity. 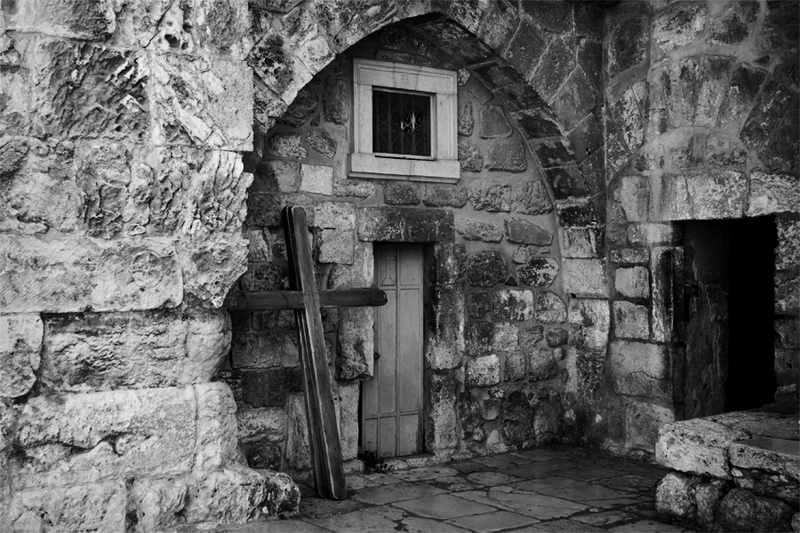 What I do know, however, is that Jesus was crucified by the Romans here in Jerusalem. 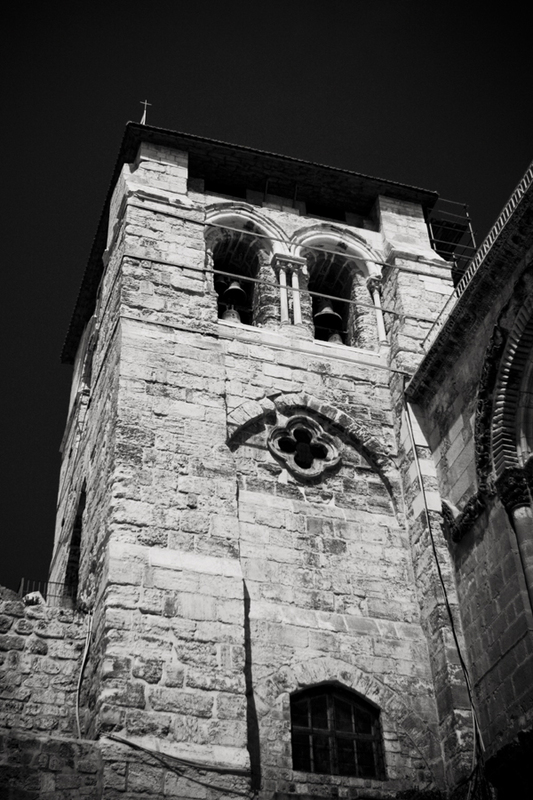 The Church of the Holy Sepulcher was erected on the exact site on which Jesus was believed to have been crucified. It is also the location where his body was taken down from the cross and lay to rest for the days following his death. Within the Church one can touch the very limestone slab on which his body was believed to have been placed. This is considered one of the 15 Stations of the Cross, the last 5 of which are all located here in this Church. Clearly this is a place of importance for many people. It was crowded with pilgrims for all over the world. It was moving to see how being in this place impacted them. 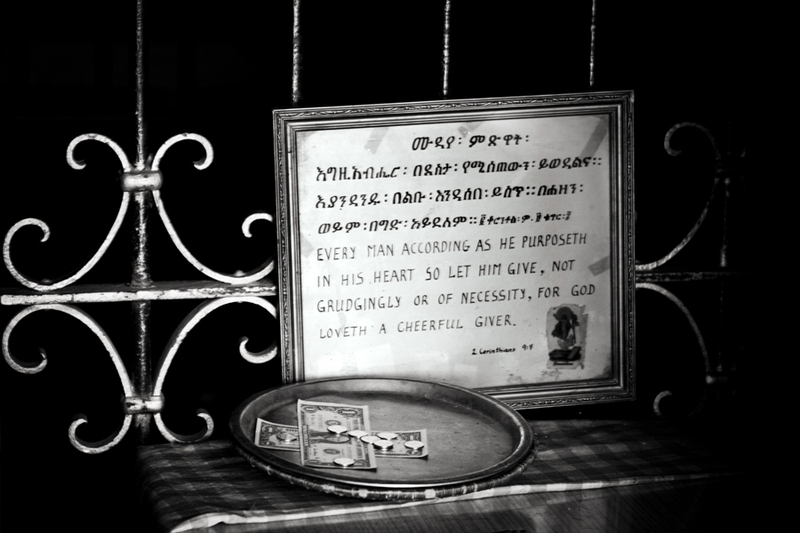 Even the collection plate had money placed in the orientation of a cross…intentional or coincidence…one will never know. We grabbed some lunch and headed to the King David Museum…the views of the Old City and its surroundings from the top of one of the guard towers was simply amazing. Yaniv gave a quick tour of the most important aspects of the museum, and we were off to the Jewish Quarter of the Old City. I should have mentioned that the Old City is divided into 4 Quarters: Jewish, Muslim, Christian, and Armenian. From the Tower of King David’s Citadel there is an amazing panoramic view of the Old City. In this view almost all of the most sacred sites of each religion can be seen….brownie points to anyone who can identify them!! While in the Jewish Quarter we explored many locations and walked to an enormous synagogue that has recently been rebuilt after having been destroyed during the 1948 war. Then we shopped!! 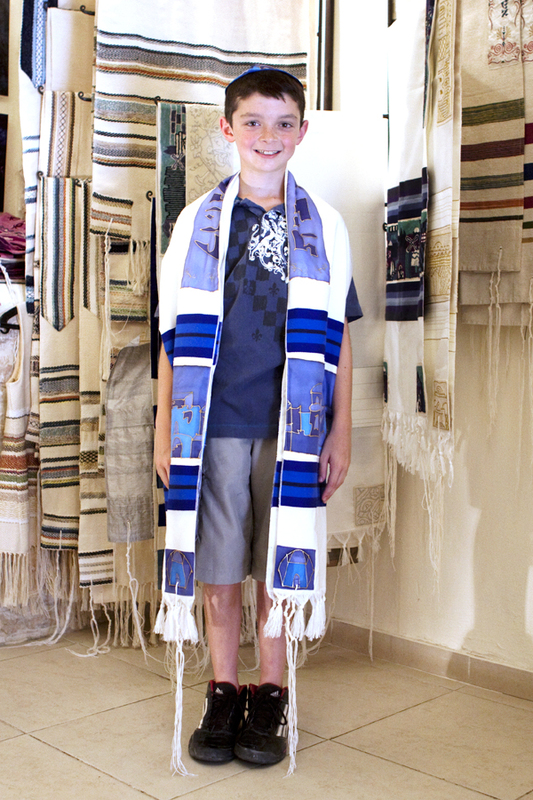 Ryan, who is now 11 and will have his Bar Mitzvah in August of 2012, found a Tallit that he fell in love with. Though he will not wear it for another 2 years, we bought it for him. I think the fact that it was found here in Jerusalem will give it a special meaning for Ryan’s entire life. 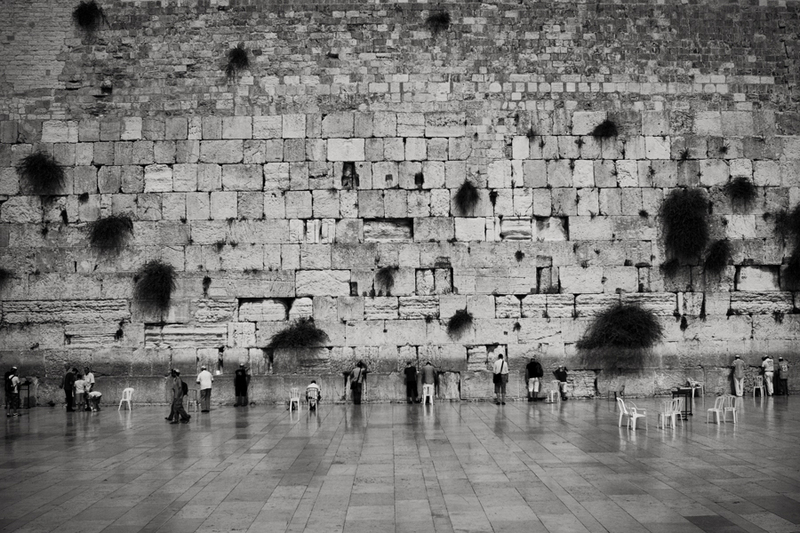 Before leaving the Jewish Quarter we stopped at the Kotel, or Wailing Wall. 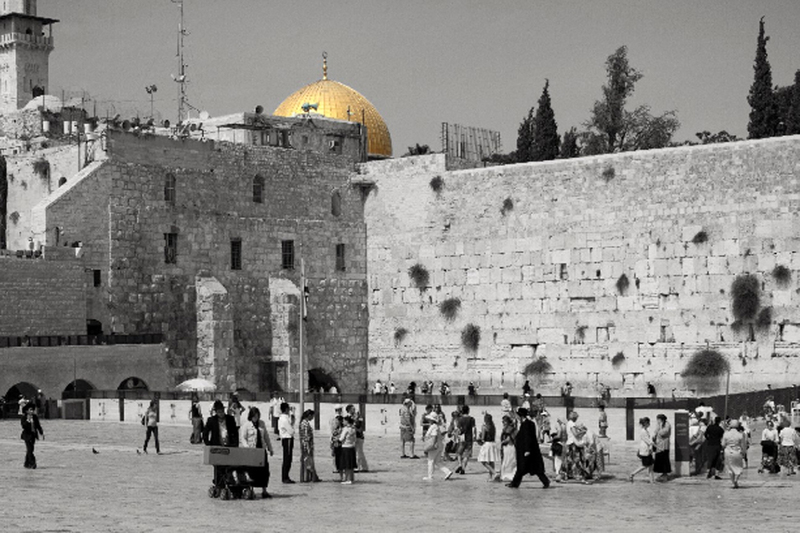 Jews from around the globe come to pray here, and consider this to be the holiest place in Judaism because of its proximity to the location where the great Temple once stood. 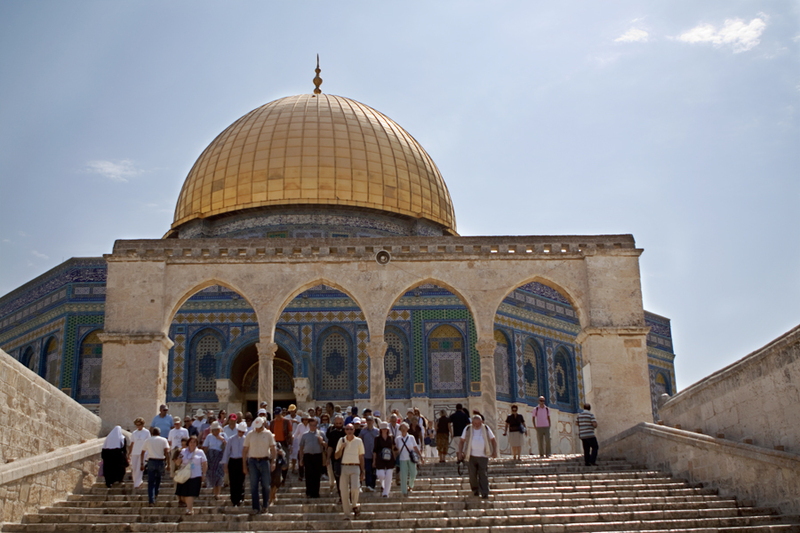 In fact, the most religious Jews will not go atop the Temple Mount because they believe that if they step on a location that the Temple once stood before its destruction, it would be defiling the Temple and considered to be sacrilegious. 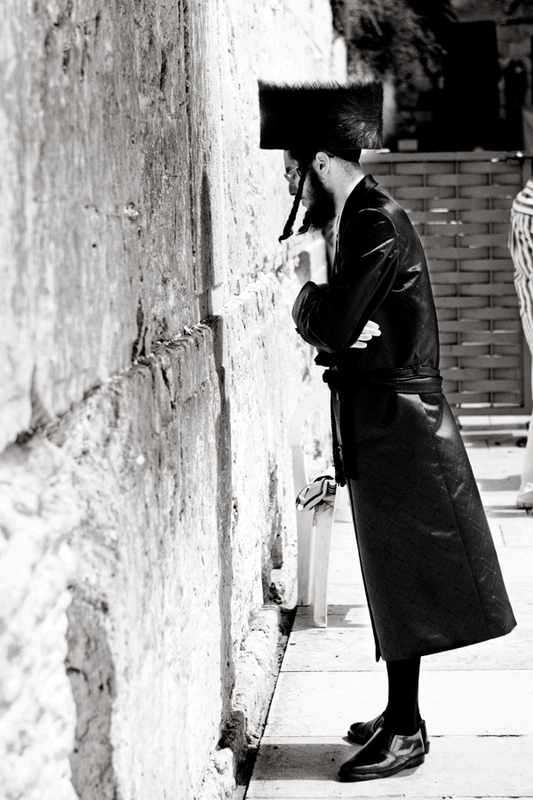 So we pray at the Western Wall. Even Yankee fans come here to pray…this guy was leaning against the wall for at least 15 minutes. Either he was praying for some important personal reasons, or Red Sox fans have a great deal to be concerned about!!! 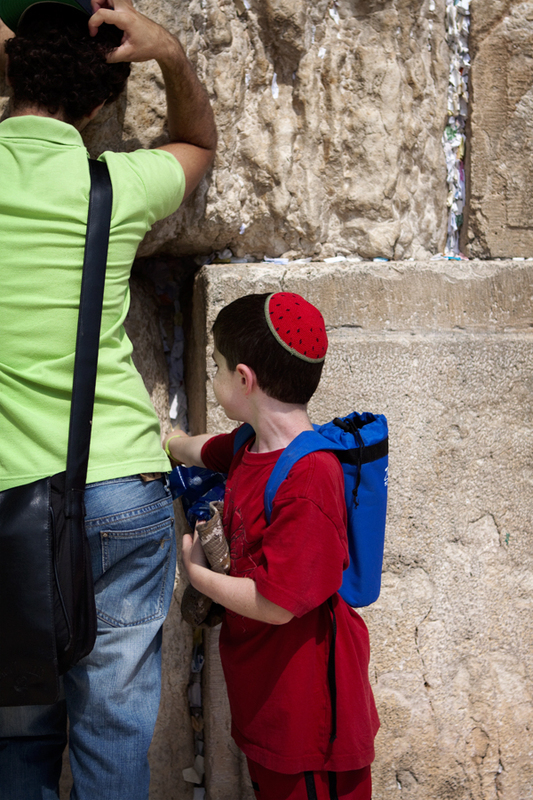 After we left the Wall, Adam, Judy, Ari, Noah and Rachel left to head to Tel Aviv. Herb and I took the boys into the water tunnel…this is a remarkable feat of engineering. Men carved a tunnel through the bedrock under the City of David. This tunnel was used to carry water from the spring source outside the City’s walls into the City for its inhabitants. Today water still runs through the tunnel….it’s freaking cold and about knee high. It’s also pitch black, so we brought our headlamps and took the 20-minute water hike. It was a very cool experience…no photos, though, as there was water all the way and I was afraid that if I slipped my camera would be done for!! So comes to an end of day three in Jerusalem. Day four will include a road trip to Mount Masada, the En Gedy Oasis and a swim in the Dead Sea…stay tuned!